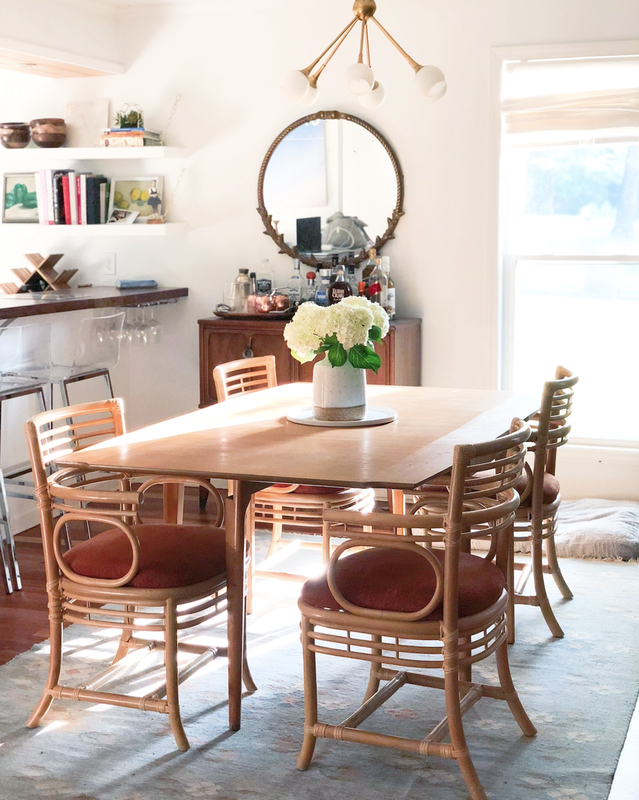 Last weekend I scored a Craig's List gold medal: these 6 rattan dining chairs in great condition for $60—total!! I could barely get to the seller's house fast enough. 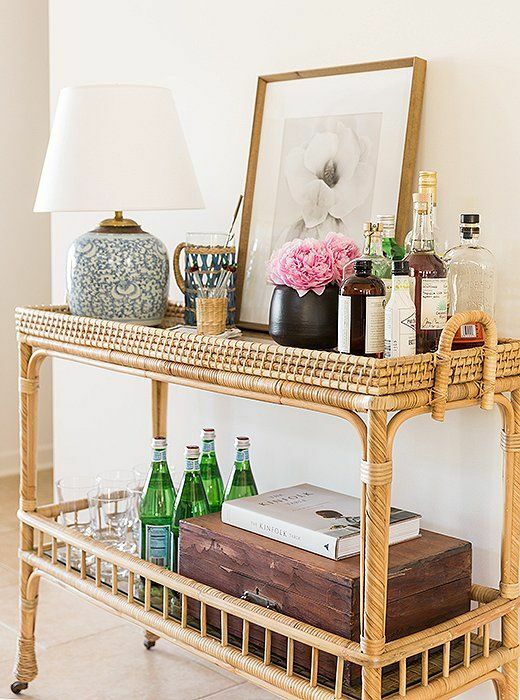 The resurgence of rattan over the past few years shouldn't surprise anyone. Americans have always had a thing for wicker (that's the name for the type of weave, rather than the material itself). The first wicker piece —a baby cradle—floated over on the Mayflower in 1620. A vine-like plant that's part of the palm family, rattan is cool, casual and unprentitious. It's flexible—literally—and can be shaped all sorts of cool, sculptural ways. It's also incredibly durable and can withstand lots of wear and tear. To me, it's one-part tropical vacation, one-part grandma chic and I can't get enough. Did I also mention that's it's usually very affordable? If you're afraid rattan feels a bit too bohemian for you, consider it in small doses (a plant stand or a bowl rather than a chair or headboard). Because of its neutral color and classic look, it works in lots of spaces. But because it's everywhere, search for pieces with unique features and interesting shapes. Also I'd recommend pieces that veer to the lighter side of rattan rather than those that look more orange. Lighter, brighter pieces are more versatile and timeless. And if you don't feel like/have the time to scour flea markets and Craig's List for vintage goods, here are few new guys that have the style covered.